So, What’s the Real Deal with Kickstarter? 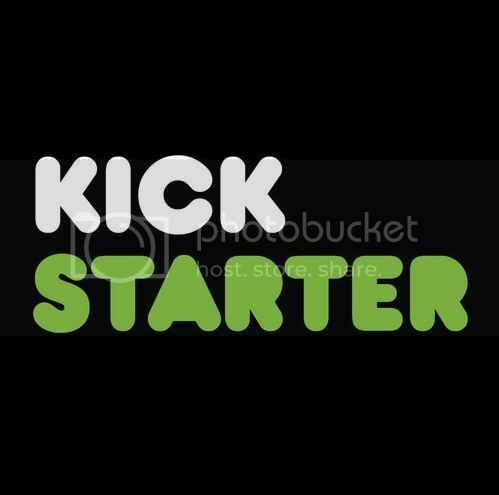 Home > 2012 > February > So, What’s the Real Deal with Kickstarter? Kickstarter is a big deal in the boardgame hobby right now. It’s hard to ignore all of the excitement, money, and new games that are pouring into and out of it, even if you really want to. And any time something so new has such a huge impact on any sort of industry, people are going to have opinions and predictions about what it means and where it’s headed. This article is really just a forum for me to share some of what I’ve learned about Kickstarter, what my experience with it has been so far, and what I think some of ongoing impact it may have on the boardgame hobby will be. And if you’re truly interested in this topic, you absolutely must listen to the Funding the Dream podcast by Richard Bliss (aka The Game Whisperer), which brings a lot more research and industry insight to this whole discussion that I could ever do. This question isn’t quite as easy to answer as you might think. Especially from people who are, for lack of a better term, “opponents” of Kickstarter, you’ll hear it referred to as mainly a preorder system for new games. And, of course, there’s a good reason for this assumption, because in pretty much every case, the main reward offered for backing a boardgame project is receiving a copy of the game once it’s published. And like other preorder systems before it, Kickstarter can help designers and publishers in a number of ways. Most importantly, it helps them reduce the risk of publishing a game by making sure that they have enough sales to at least cover the publishing costs of the game before going to print. Even for established game companies, this freedom can let them explore genres or themes that may have been a little too risky for them in the conventional model of publishing. And for newer/smaller publishers who have less capital and/or credit available to them, Kickstarter also lets them speed up their timetable of releases if they don’t have to wait for the profits from one game to fund the next. So reducing risk is clearly a good thing, but a lot of people say that all Kickstarter really does is to shift this risk from the publisher to the buyer. And I suppose, really, they’re right. But to me, as a fully functional adult, I feel like it’s my responsibility to decide how much risk I assume when backing a Kickstarter project. To hear some Kickstarter opponets talk, you’d think that the project owners were brainwashing people or somehow coercing them into giving them money, and that’s just stupid. And first of all, let’s be clear about the level of risk we’re talking about. 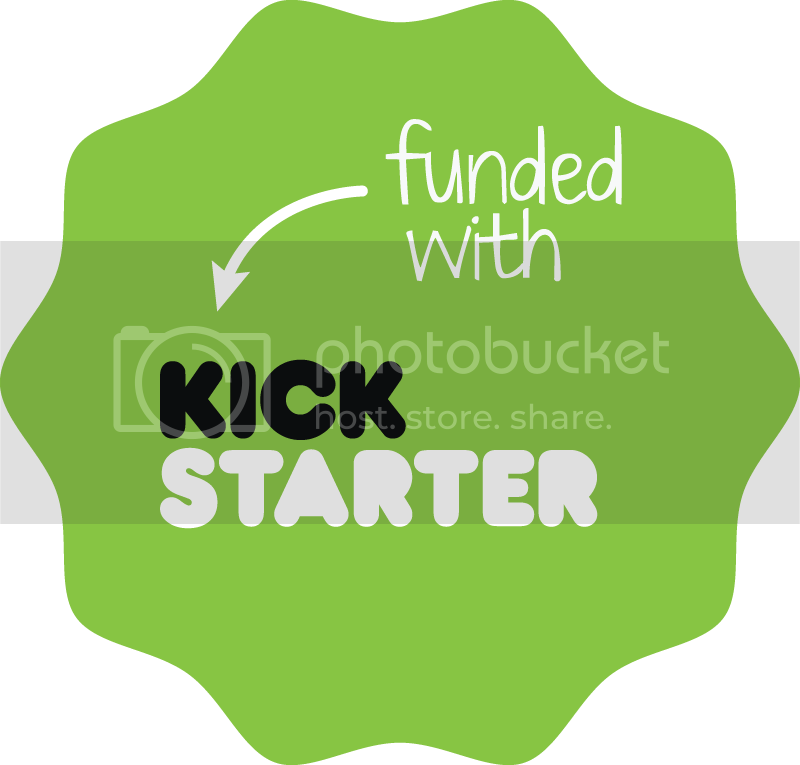 With Kickstarter, you aren’t charged for your pledge until the end of a successfully-completed project. So, unlike some other crowd-funding sites, there’s never any financial risk of backing a project that doesn’t get enough money to see the light of day. The only risk we’re talking about here is the risk of getting a crappy game out of the deal. On that vein, I know that a lot of people are against the Kickstarter simply because of all the unknowns surrounding it. In a lot of cases, you have unknown publishers offering unknown games from unknown designers, and that’s just scary for a lot of people. I mean, in general, I like to read reviews and maybe even play a game before I pick it up. But in reality, there are a lot of times that, either because no one else has it or I’m so excited about the theme or I want to be one of the first to review it or, just maybe, because I’m less than responsible than I should be sometimes when it comes to spending money on my hobby, I buy a game before doing all the research. And at some level, I must understand that, whether backing an unknown project on Kickstarter or grabbing the latest game from my favorite designer, I’m taking on a level of risk, because anyone (even those designers and publshers we trust most) can put out an absolute stinker from time to time. For those of us who have spent some time on Kickstarter, though, it’s very clear that not all Kickstarter campaigns are created equal. And even though buying a game through Kickstarter may be inherently riskier than buying or even preordering from an established publisher, there is a pretty drastic spectrum of risk within Kickstarter games as well. From the quality of the video, to the artwork on the game and pieces, to having rules provided (and you reading them, of course), the attentiveness of the designer and/or puiblisher, things like designer diaries detailing how much playtesting and development has gone into it, and a multitude of other things easily available through the Kickstarter page, its website, and/or on BGG, you can have a pretty good idea about how much risk you are really taking on. I mean, it’s always possible that despite “doing your homework”, you won’t like the game when you actually play it, but that’s no different than buying an established/published game after reading several reviews. Is It Just About Getting a Good Game, Then? is not just about getting a good, quality game out of the deal. If it were, then we’d just wait until it was published, read some reviews about it, and get it sometime later. Instead, I see two main forces at work that might push someone to consider Kickstarting a game. First are what I would call negative forces, which basically boil down to the fear of missing something. Maybe this game would be your new favorite game, but they’re only going to print 1000 of them and it may never be reprinted, so you’d better grab it now! Or even if you’re pretty sure that the game will be available later, they’re offering an exclusive expansion only to Kickstarters, so you’d better get in now if you want your game to be complete! This sort of thing can be pretty compelling, especially to those in the hobby with more completeist/collector tendencies. But it’s not really unique to Kickstarter, of course, because I’d say that the exact same thing happens every October with all the new Essen games and the multitudes of people who buy/preorder/import them sight-unseen just because they don’t want to miss the next big thing. I have to admit that this sort of thing has been a factor in at least one Kickstarter campaign that I backed (Eminent Domain, I’m looking at you! ), but the problem with it is that it can often leave a bad taste in your mouth or turn off as many people as it attracts. So, Then, What’s It Really All About? 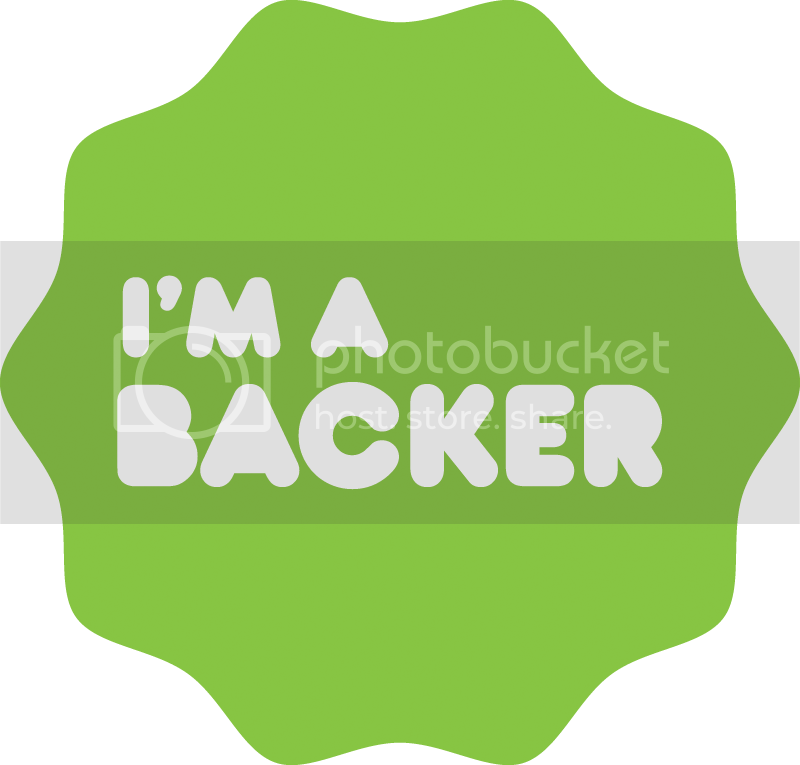 However, on the other side of the Kickstarter coin are a whole range of positive influences involved with backing a project. Because to me, what I’m often looking for in backing a project has a lot more to do with making someone’s dream come true rather than necessarily getting some great game out of the whole deal. The really good Kickstarter projects make it personal. They appeal to the community, share their passion for their game, and sincerely ask for our help. We want to see them succeed; to see their dream become a reality and have a chance at making it big. When we get involved and pledge our support, we become part of the campaign; we’re invested both financially and emotionally, and often spend our own time and resources to bring more attention to it on our own blogs or Twitter accounts or facebook walls. A lot of us have our own dreams of eventually breaking into the design/publishing side of the hobby, so seeing others achieve this dream and maybe even playing at least a small part in the success of that dream helps keep our own dream alive as well. And especially for those of us on Twitter and other social media/community forums, these designers and new publishers are also building relationships with us, so when they ask for help, it really is coming from people who we’d consider, at some level, to be friends (and, in a lot of cases, really are). There have even been cases when I really didn’t think I’d either like a game or would ever have a chance to play it, but did what I could to support it anyway. Whether by pledging a smaller amount or talking about it here or on Twitter (or both), I still wanted to help out however I could, because I believed in the owners of the project and therefore believed in the game itself. Some people just don’t get this. That’s not wrong or anything, and if you don’t find this whole idea compelling at all, then once again, Kickstarter isn’t for you. But also remember that it also doesn’t mean that Kickstarter is broken or stupid, because for a lot of us, there’s a lot more of a reward to it than we find in just buying or preording games the “usual” way. Is Kickstarter Good for the Boardgame Hobby? Well, since I’m up over 1600 words already, I think this question will have to wait until another day. So keep your eyes open for part 2 of this article coming later this week to see my answer to this and other questions about Kickstarter! The other point folks who feel Kickstarter represents a problem for the game industry bring up is that there will eventually be a successfully funded project that fails to follow through, burning those involved and putting a black-eye on gaming. Kickstarter or both. I think that falls to each of us to do the research, not only on the game we are backing, but the people involved and assess the risks. Sure, with the number of projects being Kickstarted, there is a chance that this could happen, but I never put more in than I would be willing to lose. Each of us have to decide if we are willing to take the risk of investing for ourselves. A simple and to the point description of the positives of kickstarter. Personally I’m all for it and I hope to one day use it for some project of mine. To me it’s a good thing as it gives us MORE of an impetuous to actually get up off are arses and actually TRY. Before there were so many unknowns and not the least of which was the costs. With Kickstarter you can actually have a chance of getting past that huge hurdle AND gauge desire for your project at the same time. Next Post: Gunship: First Strike is Live on Kickstarter!